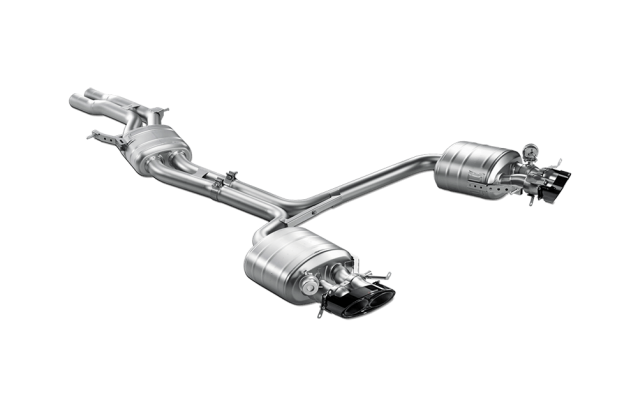 An efficient exhaust is a crucial component of any high-performance automotive system. The concept is simple: more developed engines = increased respiration. Based on our dynamometer results, Akrapovic exhausts provide the increased breathing VFE’s supercharged vehicles demand. Designed largely with CAD and computational fluid dynamics (CFD) simulation, Akrapovic’s methodology is like that of BMW, Audi, Lamborghini, etc., and it creates a product with maximum flow and minimal back pressure characteristics. Akrapovic crafts its product from a unique blend of titanium, aluminum and surgical grade stainless steel which requires a team of engineers to monitor hardness and micro-hardness measurements, tensile properties, plastic properties and formability. Based on the fit and finish and the unique Akrapovic sound, it’s obvious there’s a great deal of engineering and technology coming out of the rear pipes.